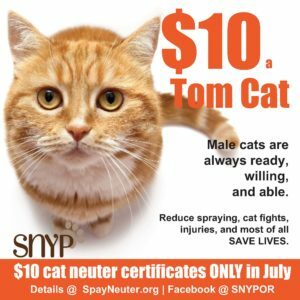 SNYP is offering $10 cat neuter certificates throughout July. Certificates are sold at South Medford, Central Point, White City and Ashland Grange Co-op stores. The certificates can be redeemed at any of the participating veterinary offices listed on the back of the certificate. Three hundred certificates are available on a first come, first served basis so get yours soon! SNYP organizes this campaign to bring public awareness to the importance of fixing male cats. Fewer than 30 percent of the animals SNYP assists are males, but the number of kittens surrendered at local animal shelters is staggering – and unfixed tom cats are one of the biggest causes. A male cat does not have a heat cycle: they are ready, willing and able – anytime, anywhere – and are extremely aggressive in hunting down any female in heat. While a female cat can have up to three litters a year, an active male cat can be responsible for hundreds of offspring a year. Neutering also reduces wandering, cat fights and annoying spraying by male cats marking their territory. Take advantage of this time limited offer WHILE SUPPLIES LAST! For more information, visit the SNYP website at www.spayneuter.org or on Facebook at /SNYPOR. 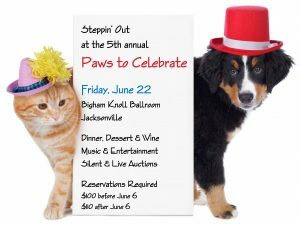 Please join us for an entertaining evening of friends and fundraising for our beloved animal companions. 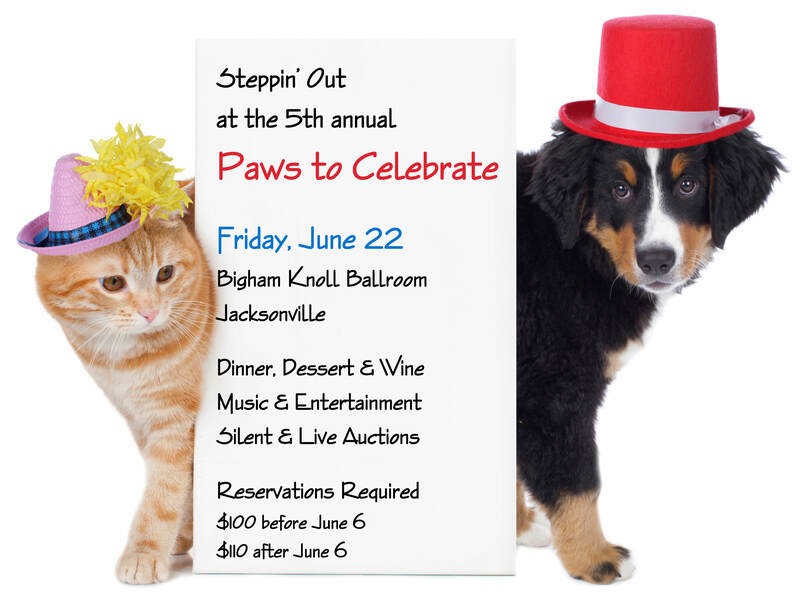 Now in our 5th year, the Paws to Celebrate fundraising event is bigger and better, and will take place on Friday evening, June 22, at the Bingham Knoll Ballroom in Jacksonville. In Love Rhymes with Everything, you’ll meet sanctuary animals and beloved pets, rescues and strays now living in peace among their own, or in forever homes with their human families. 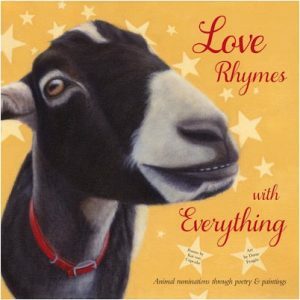 You’ll meet cows and pigs, dogs and fish, chickens and ducks, cats and goats—and many more. CATCH A RISING STAR! THE ADOPTION FEE FOR EACH OF THESE DOGS IS JUST $50. ALL DOGS ADOPTED FROM THE JACKSON COUNTY ANIMAL SHELTER ARE SPAYED/NEUTERED AND COME WITH ONE FREE IN-HOME SESSION WITH A PROFESSIONAL TRAINER. HILO: I NUZZLE MY WAY INTO PEOPLE’S HEARTS. I’ve learned the best way toconnect with people is through gentleness. A soft nuzzle, an endearing glance, a little lap warming. These are what I treasure most. Don’t get me wrong—I love a good walk and get along well with the lady dogs in playgroup. But, what I love most is people. I’m well-mannered, walk easily on leash, and am past all that puppy stuff. Because the grass is always greener on the other side of the fence, I require a securely fenced yard and need to be left in the house when you are away. Overall, I’m just an all-around great guy—the kind of dog that would fit easily into your home and into your heart. To make HILO a loving part of your family, please call the Jackson County Animal Shelter at 541-774-6654. 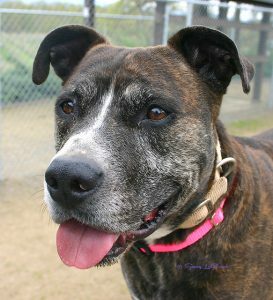 As one of May’s Fabulous Featured Canines, Hope’s adoption fee is $50 and includes one hour of free in-home training. DONNY – I AM AN ATHLETIC GENIUS. A perfect combination of brains and brawn is everyone’s dream. Imagine, teaching a dog smarter than Einstein—one who learns new commands quickly and with passion. Or, picture yourself admiring my athletic prowess as we go for a run, a hike or a casual stroll. Of course, I adore children and am popular with other dogs that have a similar rowdy play style. Throw in my extensive love for humans and you have the perfect companion. One who will not only love you above all else (except for chasing small animals), but who will happily snuggle with you at the end of the day. To make DONNY a fun-loving part of your family, please call the Jackson County Animal Shelter at 541-774-6654. 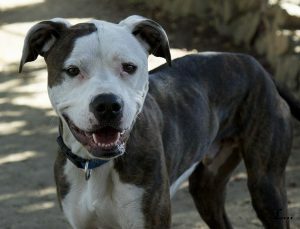 As one of April’s Fabulous Featured Canines, Donny’s adoption fee is $50 and includes one hour of free in-home training.